The local team from our Danube Delta rewilding area is currently running a beaver autumn-winter monitoring programme in the Somova-Parcheș area, in the eastern part of the Romanian Delta. Eight interns are involved in the monitoring work. Monitoring beavers in the Danube Delta. Back in June 2014, the first video footage from a camera trap confirmed that beavers are again breeding in the Danube Delta after an absence of almost 200 years. The beaver had disappeared during the early nineteenth century from most of Europe. In Romania, the Forestry Research Institute (ICAS Braşov) initiated a first reintroduction project in 1998 on the rivers Olt, Mureş and Ialomiţa. Once a population was established there, beavers then started to migrate without any human intervention and in 2010 there began their presence in the upper parts of the delta. Now, four years later, in June 2014, we recorded their activity in the Somova-Parcheș area. Later footage confirmed that the beavers’ comeback to the Danube Delta is now a fact. 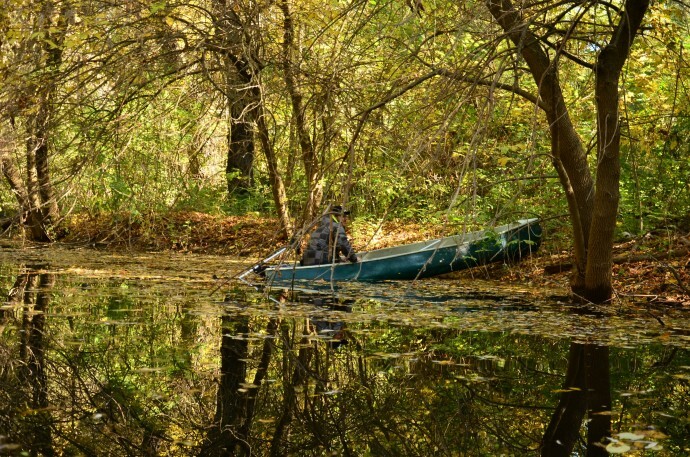 The local institutions and NGOs, like the Danube Delta Reserve Authority and the Forestry Research Institute, WWF Romania and Rewilding Europe have worked together observing their activities since late 2011. The beaver, strictly protected in Romania, is now in great need of a conservation plan. Part of the Beaver Dream Team! This will have to involve both the authorities and local people. The beaver monitoring programme continues to collect more data, which will inform the best decisions for this small, but important beaver population. “We are proud to work with eight interns who are travelling by canoe in the middle of the night or day, facing the harsh winds, but also see and hear the beavers’ fascinating activities in the area. And not only! 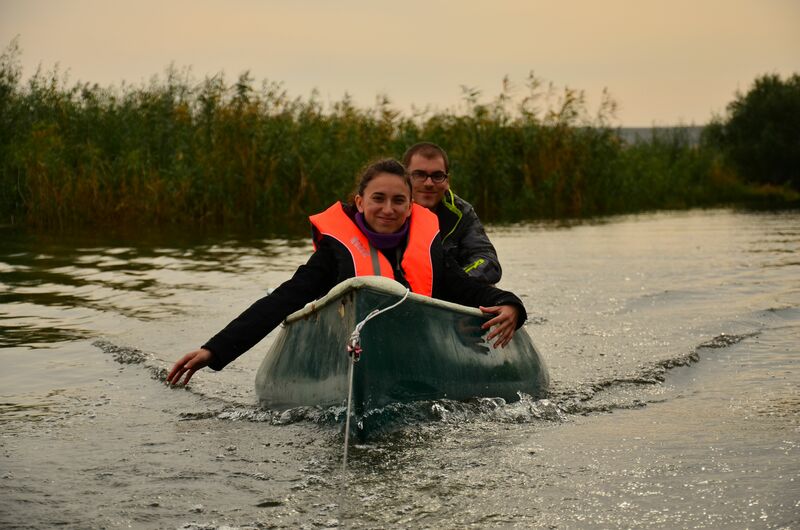 We will soon show you also who else is inhabiting the wetland areas around their lodge”, says Alexandra Panait, team leader of the Danube Delta rewilding team. A Wild Thank You! goes to this great Beaver Dream Team: Diana Ion, Irina Turcu, Gabriela Tamaş, Latif Stoica, Sorin Ion, Marius Bujor, Tudor Racoviceanu and Letiția Popovici who are all busy going in the field each week.